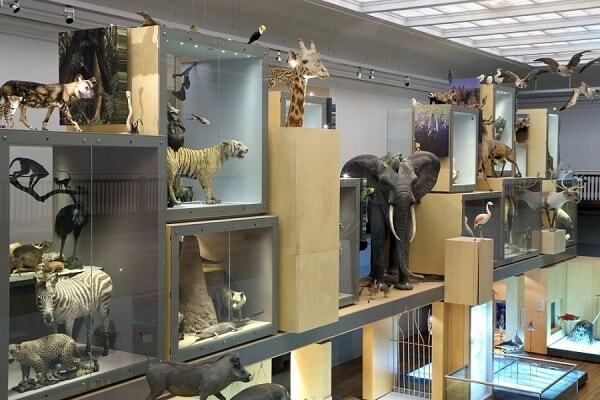 In Great North Museum, the Living Planet gallery spans the ground and first floor of the museum and tells the story of wildlife and habitats. It also features live animal tanks and aquaria. Also on the ground floor, the Hadrian’s Wall gallery enables visitors to discover the detailed history of the World Heritage Site as well as finding out about all the forts, milecastles and associated museums that can be visited today. The gallery includes a wealth of archaeological finds from across the 73 mile stretch of Hadrian’s Wall. The Mouse House, near the entrance of the Museum, is especially for Under 5s and there are regular activities for younger visitors in this space. Also on the ground floor is Fossil Stories, which uses fossils show major changes to the landscape and the animals and plants that were around millions of years ago. It also features a T.rex replica skeleton. On the first floor of the Museum visitors can discover the world of the Ancient Egyptians - including two mummies - and marvel at important collections of Greek and Etruscan art and archaeology. Natural Northumbria uncovers what is special about the North East of England’s animals and plants exploring woodlands, uplands, lowlands, and coastal areas.